Stroll along our collection of celebrated connections to the Cape Fear River and the Atlantic Ocean. Wilmington’s scenic Riverwalk, lined with shops and cafes, boasts some of the most soul-stirring sunsets you’ll ever see. Walk along a nationally recognized vintage seaside boardwalk or catch a breathtaking sunrise as you sway on a bench swing in an oceanfront park. Visit our historic piers for a classic fishing spot or to dine outdoors in the sunshine or by the moonlight. There are so many ways to be amazed by the water and natural beauty that abounds. 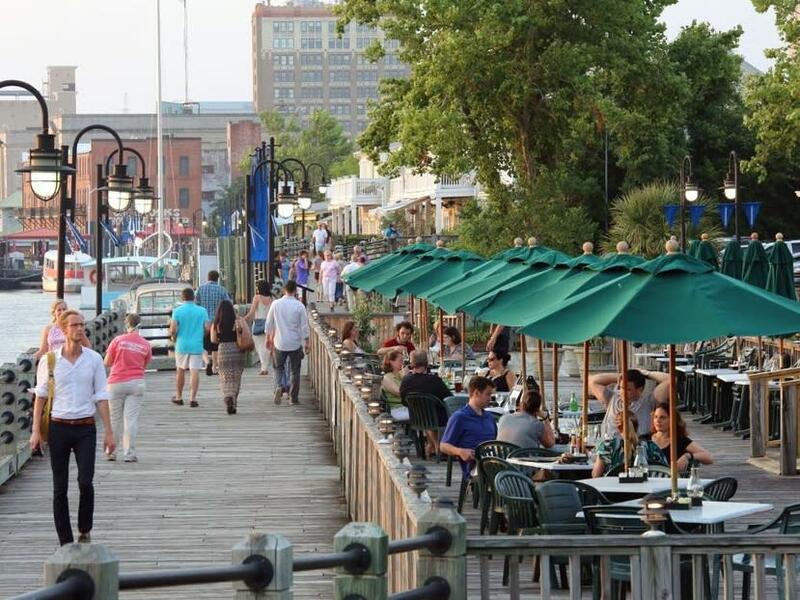 One of the best ways to explore downtown Wilmington is by way of the Wilmington Riverwalk. Spanning nearly two miles, the riverwalk is lined with boutique shops, river-view dining, relaxing green spaces, pedestrian art and a variety of river cruises departing from docks along the Cape Fear River. Veer off to explore the local shops and restaurants within the historic Cotton Exchange or the Chandler&apos;s Warf Warehouse Shops and Galleries. Stop for a drink at the open-air Cloud 9 rooftop bar, or make dinner reservations at The George on the Riverwalk or Elijah&apos;s Restaurant where stunning river views set the mood for your meal. The Carolina Beach Boardwalk is bustling in the summer months with shops, restaurants, amusement rides and nightlife entertainment. Between Memorial Day and Labor Day weekends, the Carolina Beach Boardwalk Amusement Park offers high-flying rides and festival street food. Weekly, free, live music becomes your summer soundtrack and fireworks light up the sky over the beach. Don&apos;t miss this must-visit attraction when in the area. Kure Beach is known for great fishing and visitors can cast a line off the oldest fishing pier along the east coast. Dating back to 1923 and still owned by the same family, the Kure Beach Fishing Pier is a family-friendly destination and a great way to take in views of the ocean blues. Admission is free and open to the public, with a nominal fee for those fishing, to cover your fishing license costs. Stroll out more than 1,200 feet into the Atlantic Ocean with a trip to Johnnie Mercers Pier, the only concrete fishing pier in North Carolina. 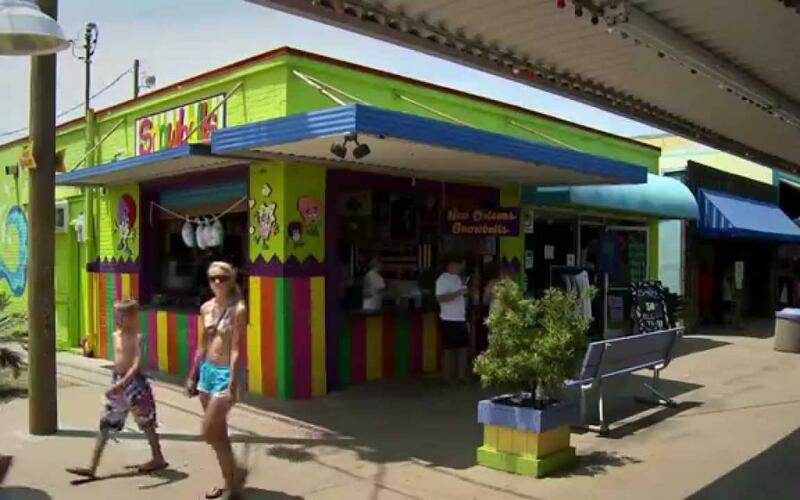 With a snack bar, restrooms and gift shop attached, you&apos;ll find everything you need for a fun day at the beach. 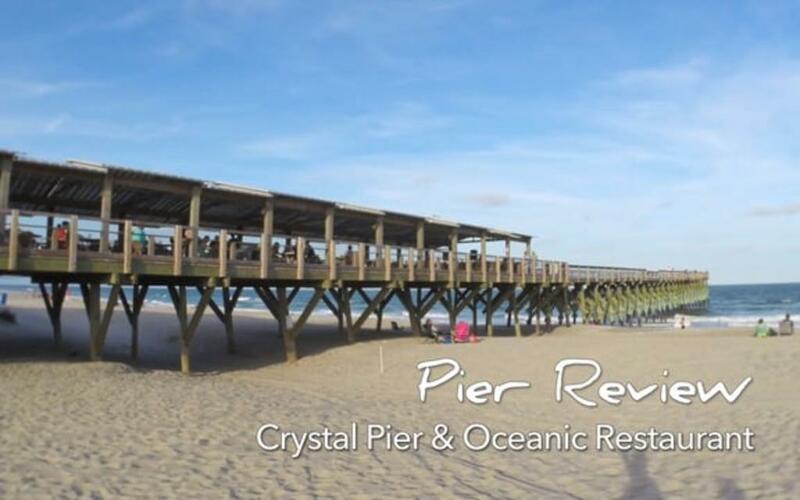 A few miles up the shore, Crystal Pier is the perfect destination for those looking to enjoy a meal or drink with ocean views. Anchored by Oceanic Restaurant, live music plays during the summer months. Crystal Pier and Johnnie Mercers Pier are both popular fishermen destinations. Try your luck at catching saltwater favorites year-round. 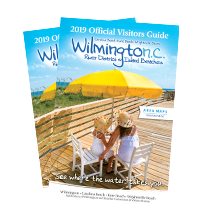 See the water from a new perspective along the elevated promenades of Wilmington and island beaches. Browse all piers and boardwalks here. From lunch along the Cape Fear River to Atlantic Ocean and Intracoastal Waterway dining, take your meal outdoors and enjoy the view. Explore Wilmington with unique adventures and guided tours along the river. Find the perfect experience for your next getaway. Take a short hike from the forest, through the marsh and to the sea with a trip along the Basin Trail at Fort Fisher State Recreation Area. 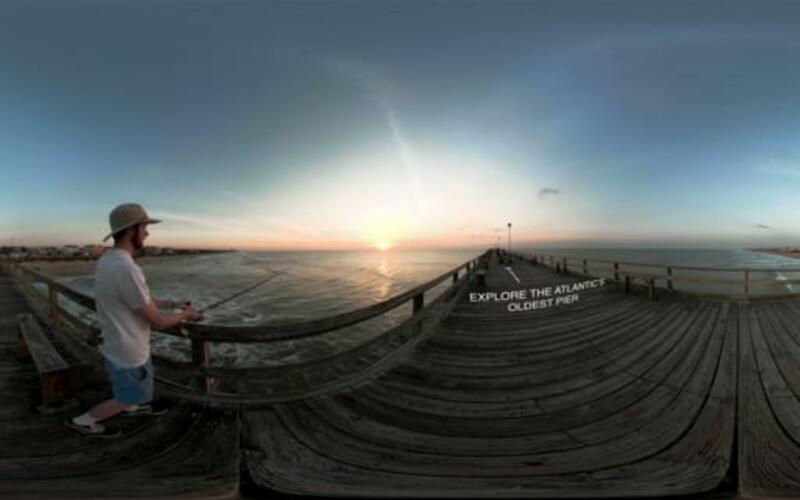 Immerse yourself in 360 views of the marina, forest and dog-and kid-friendly trails of Carolina Beach State Park.